I'm so happy to finally let you all know my first hair product is here and available to purchase online and at the salon! 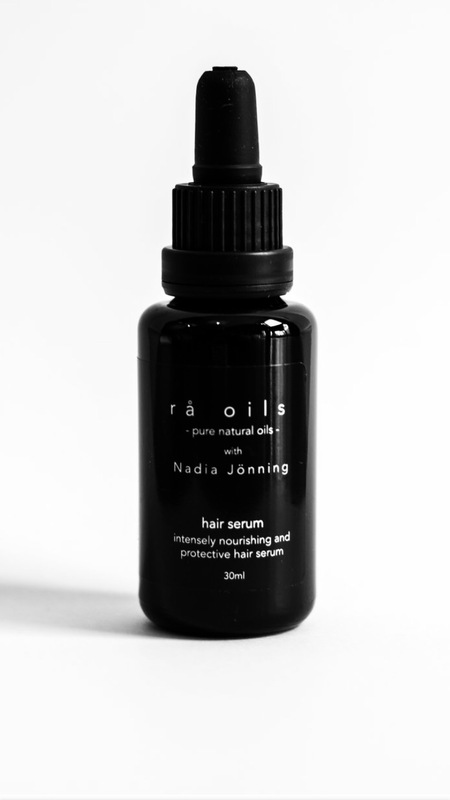 For more than 1 year I've worked together with my dear friend Frida, her mum and their amazing company Rå Oil based in Iceland to develop my first hair product. Created from a blend of beautiful sweet almond oil and argan oil, with strengthening carrot seed extract and sweet orange blossom aroma. This is an intensely nourishing and repairing dry oil hair serum that gives you silky smooth hair with the ultimate shine without weighing it down. It protects your hair from heat, sunlight and pollution, while strengthening and nourishing it to give you a healthy shine that lasts. The serum contains no filler, silicones or preservatives so that you get nothing but pure goodness for beautiful healthy hair. Vegan friendly & Against animal testing. The oil is available to buy in my studio and online from their web shop. If you have any questions don't hesitate to get in touch.